Jeremy Dale has over 20 years of experience in the consumer electronics industry, and until 2017 he was the Corporate Vice President of Microsoft's worldwide retail channel. 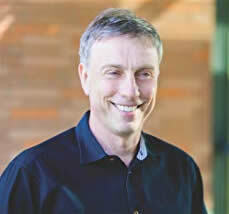 Prior to that, he was CMO at Motorola during the RAZR heyday. Jeremy is now CEO of an exciting start-up business in the global football and entertainment sector where he is applying his philosophy. Jeremy owns a BAFTA for the launch of Pokemon, he was named 35th in the UK's Marketing Power 100, and he was listed in Total Films 100 Most Influential People in the Movies (between Tom Cruise and Matt Damon). Jeremy rarely admits that he trained as an accountant before expanding into sales, marketing, and business leadership. Jeremy loves all sports. For more information, visit the Web site of Jeremy Dale.